One way to think about a warehouse management software is that it provides a type of overarching “facility, packages and people” approach to warehouse operations. These software platforms manage several steps of the supply chain management process, including everything from delivery shipping to employee scheduling. They also integrate various types of analytics and business intelligence. This valuable data can be used to help company leaders fine-tune or revamp their warehouse operations processes, or even their entire supply chain. Get our Warehouse Management System Price & Cost Guide. Some of the features in warehouse management platforms are made to handle the very first step of the warehousing process: working with vehicles bringing in physical products and materials. Manifest tools for trucks help input data into the system. Here, barcode scanning, radio frequency ID tagging and other physical processes help with that data input. Warehouse management systems can label and identify each item to start the warehousing process on the right foot. Other types of machine-related functionality handle the movement of items through the complete life cycle, from receiving to shipping. Pallet estimate features help with loading and unloading pallets, while pack and ship features help get warehouse materials and products out the door. Picking resources help isolate key goods for processing. Other features may handle processes like kitting and cycle counting, as well as cross docking or other processes involving the physical handling of resources. Several other features of warehouse management software help warehouses enhance the ordering and fulfillment process. Order management and reorder tools provide accuracy for the flow of products into and out of the warehouse, and other fulfillment features identify and work with carriers, consignees and other stakeholders, as well as automate manual and paper processes. For warehouses handling specialized types of products and materials, warehouse management solutions often include specific inventory management tools such as perishable goods tracking and FIFO — LIFO protocols. A first-in, last-out system or other triage system, properly backed up by digital planning tools, keeps product delivery fresher and decreases waste, thereby increasing profits. Many of the best warehouse management solutions come with features that allow companies to aggregate business intelligence from warehouse operations. Real-time tracking is a major asset to companies. Maintaining inventory control in particular benefits from real-time tracking. This allows you to view your real-time inventory, so you’re always aware of when you’re low on certain items, or if you have more in stock than necessary. Other tools may filter data for KPI analysis or production analytics. Workflow management tools identify what’s going on within a warehouse. Collecting high quality data helps decision-makers figure out whether to make changes in key business processes. In addition, many of the premier warehouse management software vendors offer multi-location tracking to easily work with multiple warehouses. Language and tax features help support international operations, and move some relevant warehouse data toward proper accounting uses. Most warehouse management software also provides disaster backup, which is an important part of a warehouse management system. Another key feature of WMS solutions is full integration with other types of enterprise software. It’s important for these types of standalone services to tie into a greater Enterprise Resource Planning (ERP) architecture. Many of the best vendors offer this type of integration, and may also offer integration with accounting programs such as QuickBooks, customer relationship management platforms like Salesforce, and other applications. Various types of warehouse management software essentially help companies manage both the intellectual side of their business, including planning supply cycles, and the more physical side, which includes shipping and delivering physical units to and from a warehouse. Third-party logistics features like truck loading trackers and transport analytics tools bring more transparency to the movement of products and materials, as warehouse managers and other users can always find where a truck load is. Other kinds of third-party logistics resources are aimed at clearly showing how stakeholders work together, and how agreed-upon deliveries get done. Apart from the many unique features that identify and track physical materials and packages, other warehouse management software features include managing the labor side of warehouse operations. Workforce planning software has come a long way in just a few years. Vendors today can integrate sophisticated labor management modules into some of the best warehouse management software that companies use as part of their enterprise automation solutions. Labor management tools can identify staff and maintain staff schedules, while also matching individual staff members to tasks. The labor side of the equation is critically important in making sure that planned activities actually happen as they were planned. These labor management features often include hours tracking for individual workers, a scheduling dashboard, and a long-term reporting feature that shows personnel-hours per project. Another major feature of warehouse management software relates to interface design. Some of the best companies are able to advertise their product as intuitive and user-friendly. This decreases the learning curve for implementation, and makes a given WMS solution much more valuable to a company. A user-friendly interface with intuitive controls decreases training costs and makes a WMS software much easier to adopt, which is a big plus for customers. In addition, support for these types of vendor products is key.  Support features include specific offers of on-site or telephone support during a given time frame, as well as direct response support capability. Buyers should look for specific support clauses in vendors’ service level agreements (SLAs) to make sure that they are on solid ground in case of an emergency. All of the above features and functionality make warehouse management software extremely valuable to companies that need to maintain their warehouse operations. Look for these important features when vendors for warehouse management. With a whole host of warehouse management tasks to keep track of, it can be easy to lose your way. So let’s go over some best practices to help ease the load. Even if you already have a running warehouse system, see if you can implement a few of these. The savings in time, work, and/or money are well worth it. A unorganized warehouse costs your company extra time and money when picking and shipping orders. Do you have a strategy for where goods are placed? Are multiple SKUs separated or in bins with one another? Another thing you can do to improve organization is to look at a floor plan of the warehouse and draw out the common paths that workers take when loading, picking, or packing. Do they end up retracing their steps a lot? Are commonly picked items nearby, or do they have to walk the length of the warehouse? If you can eliminate some of that extra time finding items, that alone will improve your warehouse’s efficiency. Are you still writing SKUs on a notepad or entering them manually into a computer? Motorola suggests that you stop it! The potential to mistype and the time taken to write or type each number by hand adds up to a lot of extra overhead. Many products have barcodes or SKUs that can be picked up by a scanner. Scanning a barcode and having it automatically entered into the system is a lot more reliable than doing it by hand, and it will get products off the dock and into your system quicker. Employee training goes hand in hand with workplace safety. If your employees aren’t trained and up to date on warehouse procedures, then injuries are more likely to occur. To mitigate this risk, ensure only trained employees operate machinery like forklifts or cranes. It’s also important for employees to renew any necessary credentials in a timely manner. Communication and transparency can make warehouse operations management go a lot smoother. According to Inbound Logistics, when management fails to create an environment of open communication, employee turnover increases and productivity suffers. At the end of the day, your team is only as good as its software. Make sure you do the proper research and take time to evaluate vendors before implementing a warehouse operations management solution. Finding the best-fit software for your business makes the difference between an efficient warehouse operations management process and a process full of headaches.